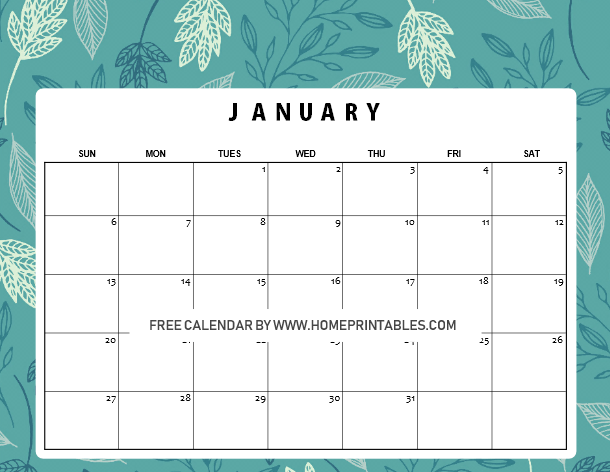 January 2019 Calendar Printable : 10+1 Designs for FREE Download! 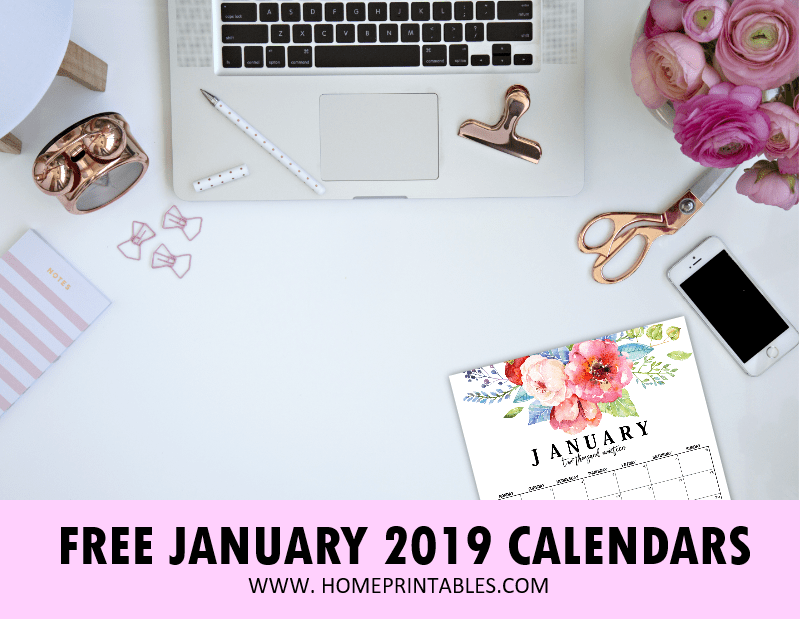 January 2019 Calendar Printable: 10+1 Designs for FREE Download! 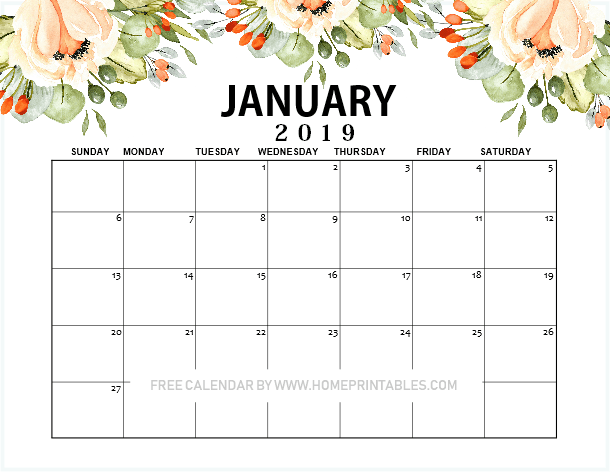 Bountiful year awaits you with these fresh January 2019 calendar printable planners! 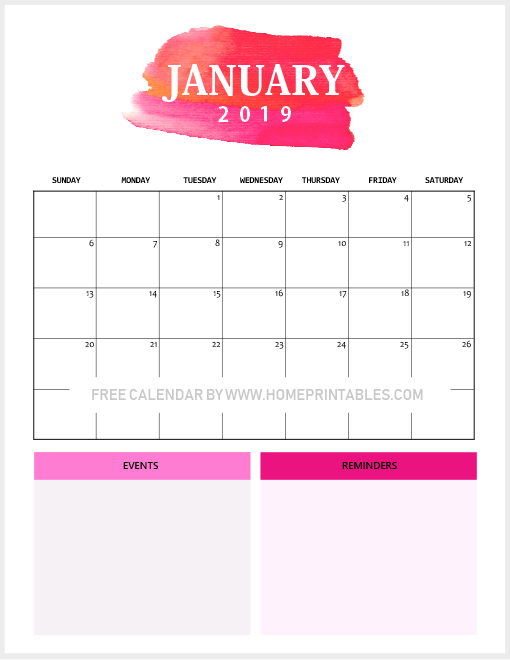 Now you can blissfully organize your plans for the first month of the year with these printable monthly calendars that can be downloaded instantly for free! There are 11 fresh designs for you to choose from that come in a variety of styles and formats. 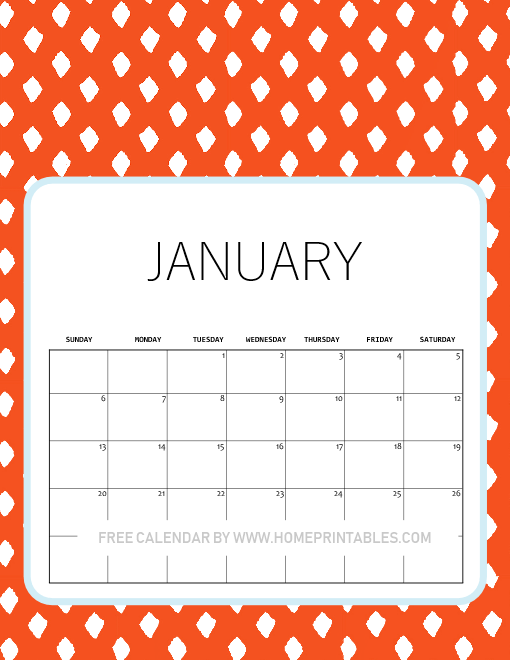 Print a calendar to use for your home, workplace, school and more! 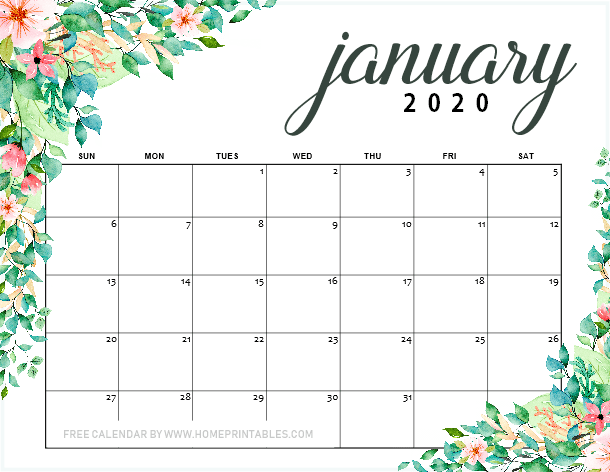 There’s a free January 2019 calendar for everyone here. It’s time to pick yours! 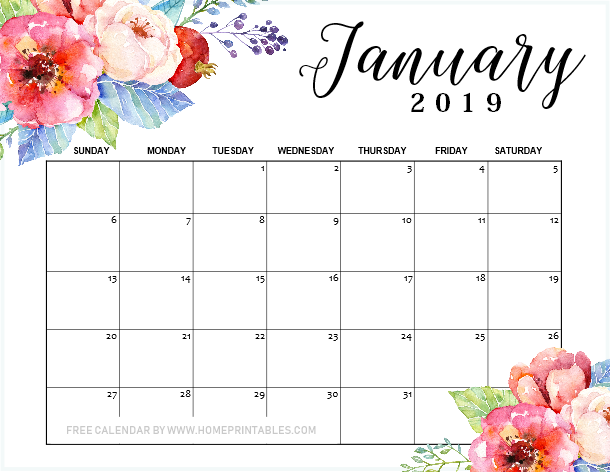 JANUARY 2019 CALENDAR PRINTABLE: PICK YOUR STYLE! We are super excited to welcome the new year already! We can’t wait to begin fresh all over again! 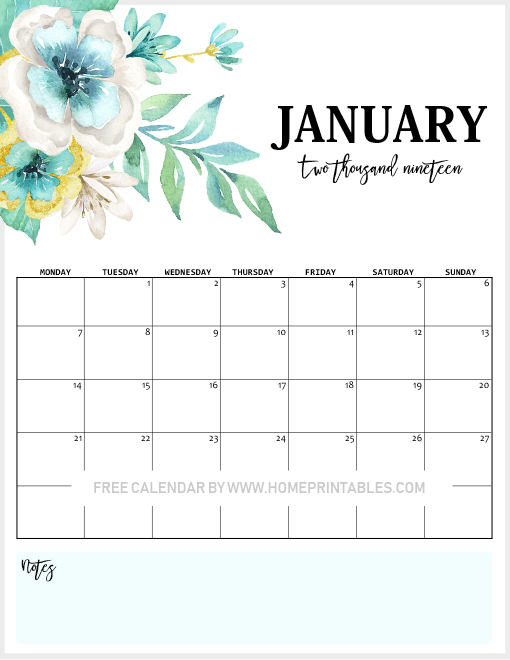 So today on the blog, we are already sharing a band new set of January 2019 calendar printable planners so we can all be all set when the first month of the year comes in. Ready to view the designs we’ve got for you this year? But first, a special shout out to Design Cuts and Creative Market where we’ve purchased the some of the graphic elements we use in designing your calendars. Keep scrolling to view the 11 amazing designs we have for you! We would like to begin our quick calendar preview with this gorgeous floral calendar in horizontal orientation. Won’t organizing your to-do’s for the first month of the year be inspiring using this one? It’s our most favorite calendar design from this set! For sure, this calendar will sit prettily on Shining Mom’s work desk! And hey, it also matches with The 2019 Success Designer Planner, an ultimate productivity planner available at our store! The second calendar that we have for you has a special area designated for your notes and reminders. You can use this area to list down your major to-do’s for the month or for your goal-setting. The Events spot is where you write the special dates to celebrate or your important meetings and appointments. This is going to be a very useful printable 2019 monthly calendar to use in your workplace! Oh how we love this third calendar that we have for you. It comes with the most refreshing bouquet of flowers ever! You can use this calendar anywhere you like. But if you’ll ask us, we think this will be a great calendar to stick on your kitchen door, You can have this as your monthly meal planner for the whole family. Won’t it be nice to start the year right by planning healthier dinners ahead? Next up is another floral calendar but this time in mint and gold theme. This refreshing calendar comes in vertical orientation that has Monday as the start of the week. Several of you have requested a Monday week start calendar and here it goes! 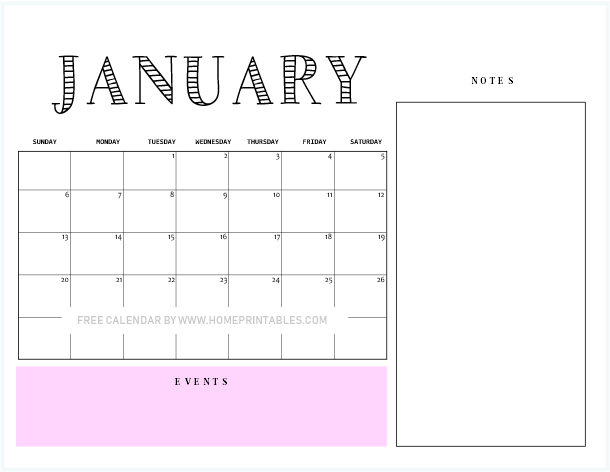 Moving on, are you looking for a calendar with a huge room for your events and reminders? This pink calendar is for you! Yup, you’ll never miss any important activities again as you have them all listed right in your calendar! Have you seen our oh-so-popular free life planner yet? This beautiful calendar matches it perfectly! Hop over to our other blog, Shining Mom, should you also like to this calendar with it. It’s so pretty! Next up is a blue themed calendar. You can definitely have this as a planner or binder insert and use it to organize your schedule come January. 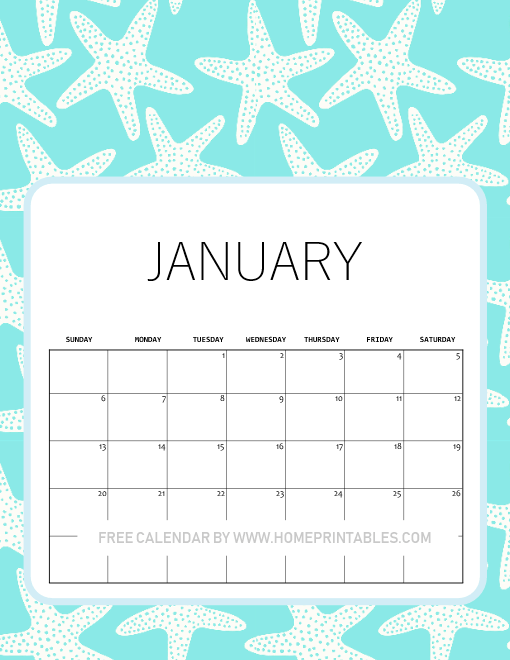 CUTE JANUARY 2019 CALENDAR PRINTABLE FOR KIDS! We’re also sharing cute calendars for the kids! Take a look at this second set of calendars that all come in playful colors and cute design. Download a copy for the kids in your life and oh, for yourself, too! Even adults will love these cute designs for sure. 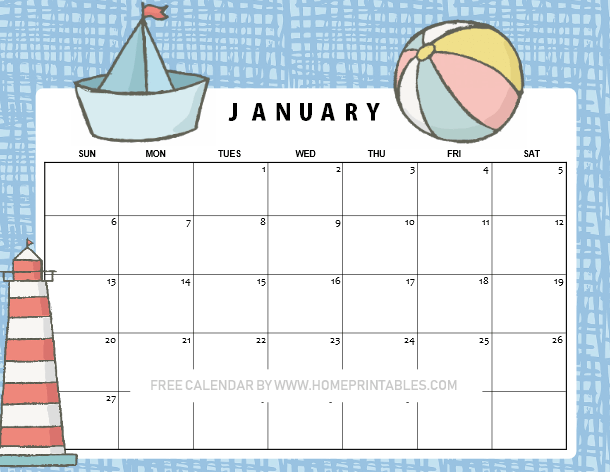 How would you like to use a starfish-themed calendar for January? Kids, use this really fun design to get organized in school. Print this for your school binder and use it to organize your schedules such as projects, homework, exams and more! In addition to our starfish-themed calendar, here’s another cute calendar in red theme. It’s also in vertical orientation. Furthermore is another calendar in sea theme again! It’s super fun and cute! We will have this printed for our school kid. And oh, is there anyone here who likes to have this particular calendar design for all the months of the year? Let me know at the Comments. If I’ll receive at least 10 requests, I’ll try to create this calendar from January till December and will share it again for free! Please note that these calendars are designed to be printed in US standard Letter-size paper (with 8.5″x11″ dimension). Print as many as you need for as long as they’re for personal use only! No time to print these calendars yet? No problem. You may always come back to check out this post. Pin us at Pinterest for future use. You will also be able to help us grow this blog that way! Monthly Calendar 2019: So Beautiful! Design a Life You Love 2019: A free planner! Have an amazing year ahead! Hope you can use our free organizing printables for you!